June 2012 – a short blog? Nothing much happened locally in June – in fact it was very quiet, for the most part, partly as expected, but boy did it rain again. If it was not for a couple of trips out to the coast, there would not be much to blog, to be honest. As I write this blog, in early July, the rain has continued and most local places are at least 3 feet under water this morning. 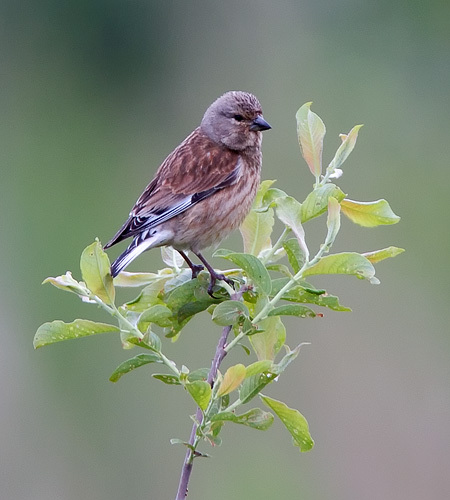 June started off brilliantly @ Willington DWT. We were at platform 4 and it was pretty quiet, when Richard James appeared round the corner looking sheepish. “I’m afraid I’ve got some news for you guys”, he said solemnly. We all braced ourselves – “what is it?” I said. “Oh, there’s a male Red Footed Falcon [ Falco vespertinus], but it’s on the fisherman’s side and not visible from here – sorry”, he replied. Well despite this, we all rushed round to the top platform to see if we could see it, but to no avail. We waited for an hour or so, but no show. The bird was put out on the pagers, as it was too good to suppress, even though it still remained elusive. 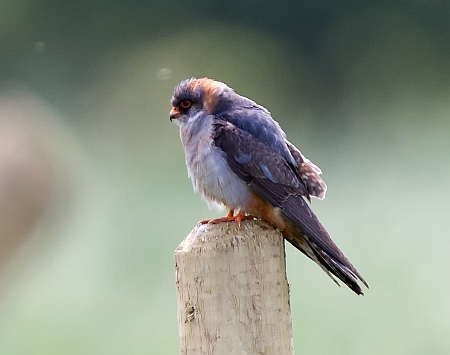 Many birders were now turning up – locals first, then an array of birders from more distant climes, wanting to tick a Red-footed Falcon, either for their life list, or more likely their year lists. Well, as expected, they were all impatient and not at all pleased to hear that the bird was not visible and that the land was strictly private – even though this has been explicit on the pager news broadcast. The waiting continued, but no show. Despite our best efforts, 2 or so hours passed and still nothing, then news came in from a local birder, that a Honey Buzzard [Pernis apivorus] had been located in a tree at Repton School, about 2 miles away. Well, nothing was happening here, so I went back down the lane and headed off to Repton. As it turned out, this “Honey” Buzzard was simply a very pale “Common” Buzzard – lovely bird though. 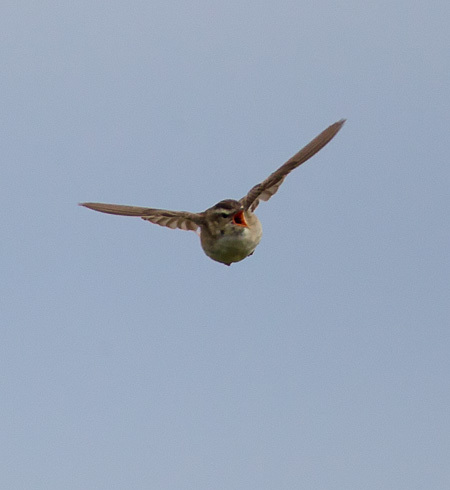 After a spell meeting people and avoiding getting run over by stupid drivers, I headed home via Ingleby and was just watching some Whitethroat, when the pager went off again – this time the R-F Falcon had been sighted from platform 5 at Willington. Back to Willington then – to see where it was. 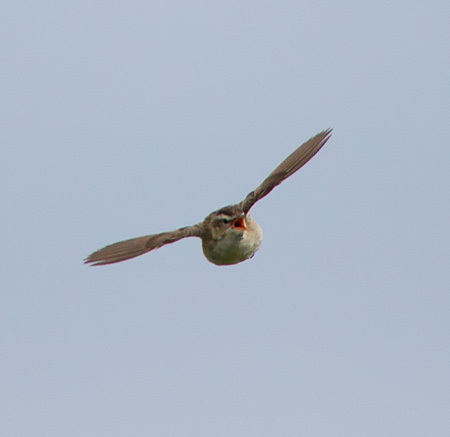 Sure enough, when i arrived it was flying right over my head – too quick for decent a shot [although I did manage one of sorts], but then it landed in the field – still viewable from P5, albeit 30 yards away. Grumble, grumble went the birders and photographers – some tried going over the fence, only to be met by an angler, who to be honest, I wouldn’t argue with at any time. After a while, when they’d all got their pics, digi-pics, telescope and binocular views, it quietened down a bit – the best time to stay around. 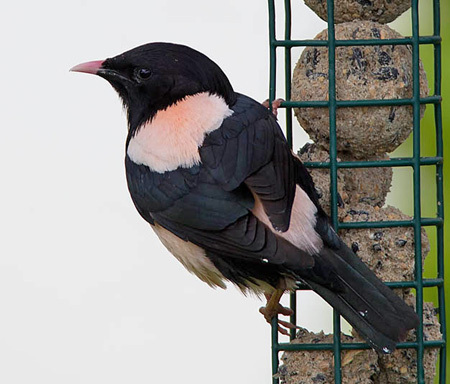 It returned to sight, then made it’s way round the fence line and came onto a post, within 15 metres or so of us – great. Not brilliant, but close enough for a few decent shots, one of which is below. This is the BIF shot I managed. The bird only stayed close for a short while, until the angler came back to his tackle-box [car trailer] , then it flew out of sight again. From then onwards, it was regularly seen flying, hawking and feeding, down the river, very distant from P5, but a bit closer if you walked the 1.5 miles down the river. I wouldn’t say it was harassed for the next week or so, but it was pursued relentlessly by dozens of birders, and the poor weather and rain would not have helped it’s feeding on flies, insects, etc. Anyway, on 11th June it was found dead, on the far side of the River Trent, possibly from gun-shot wounds, although no-one is sure. There is a shooting area over the river, but no-one has accused anyone of anything – there is no evidence. All in all, a very sad ending to a fabulous bird. 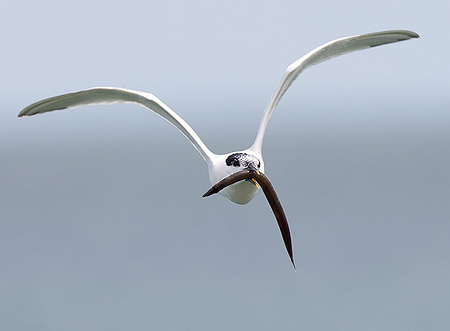 There are still lessons to be learned here – we are all fascinated by “different” and “rare” birds – we all love to see them, watch them, photograph them, and possibly without intention, we can be a part of this “harassment”, where a bird is constantly disturbed. 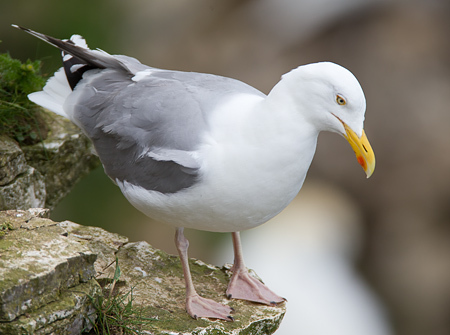 I and many of my colleagues, do consciously try to minimise our impact on these birds, by keeping our visits short, or our attentions on the bird at close quarters minimal, but we all must take the collective blame, when something like this occurs. It may have been shot, it may have starved due to the weather, it may have starved due to harassment, we may never know. 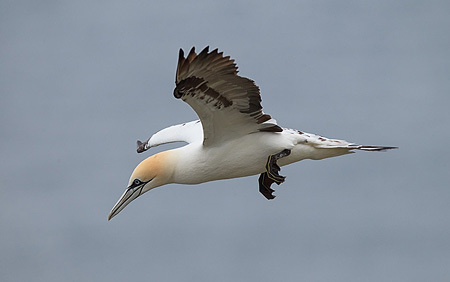 However, we should all continue to try our hardest to respect the bird, the fact that it is miles and miles off it’s course, that it’s in a strange country, that it may never return to it’s original flight path and ultimately it is us who may influence whether it survives or not in the end. As long as everyone has this respect, that’s all we can do. Look and photograph by all means, but remember your part in the bird’s welfare. 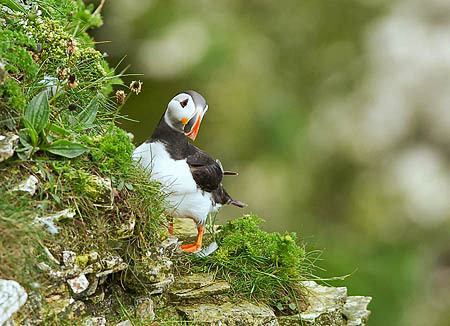 Over 3 million adults go birdwatching every year in the UK. 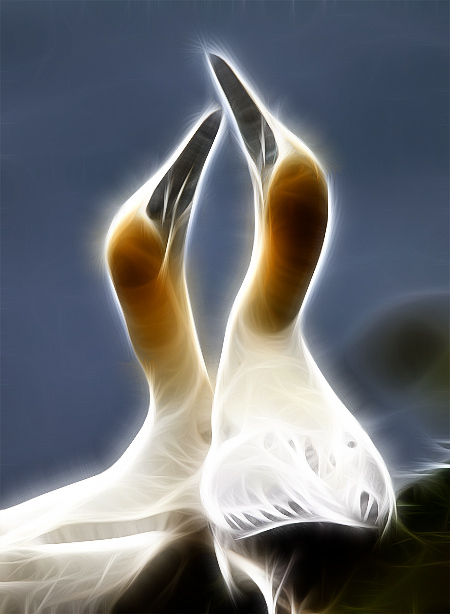 This code puts the interests of birds first and respects other people, whether or not they are interested in birds. It applies not just when you are at a nature reserve, but whenever you are watching birds in the UK or abroad. 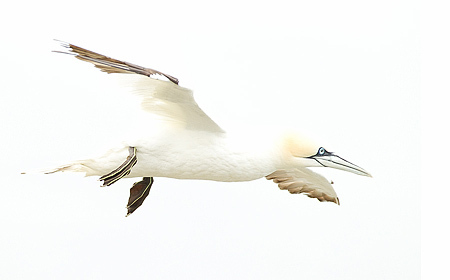 It has been produced by the leading bird organisations, magazines and websites. It will be most effective if we lead by example and sensitively challenge the minority of birdwatchers who behave inappropriately. 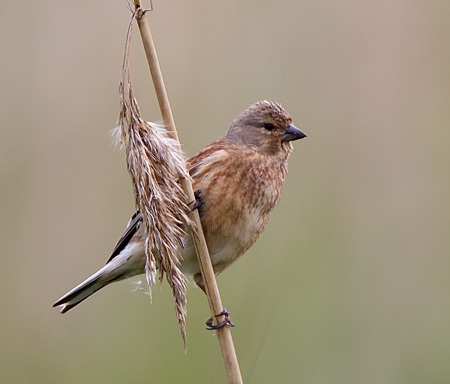 Just below platform 4 @ Willington, there is a family of Linnets [ Carduelis cannabina ] busily nesting adjacent to a clump of brambles, there may be at least 3 pairs. 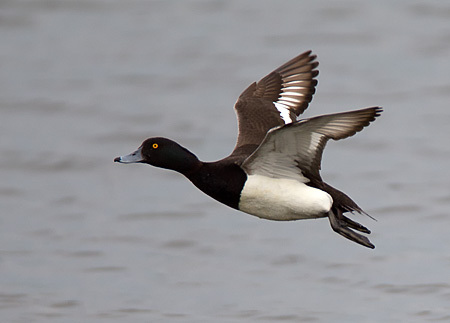 As usual I am always on the lookout for some flight or action shots, so this Tufted Duck [ Aythya fuligula ] was a good opportunity. 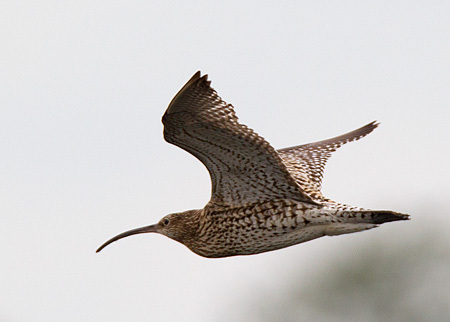 As luck would have it, a Curlew [ Numenius arquata ] flew by – just the one mind, but welcome nonetheless. Life in the reed beds continued, with the Sedge Warbler [ Acrocephalus schoenobaenus ] and Reed Warblers [ Acrocephalus scirpaceus ] singing away and the Reed Buntings [ Emberiza schoeniclus ] singing also. I have not seen a great deal of evidence of breeding/nesting, but with this weather, it’s not really surprising. 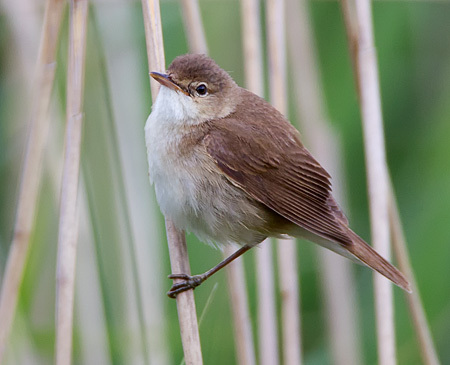 I thought this Reed Warbler was a juvenile, with a slight “gape” showing, but I’m not sure. The Sedge Warblers were “parachuting” up out of the reed beds and displaying, before coming crashing down again – it’s brilliant to watch, but much more difficult to get a decent shot. My attempts below – a bit crappy, but you just don’t know when they’re going to pop up next. 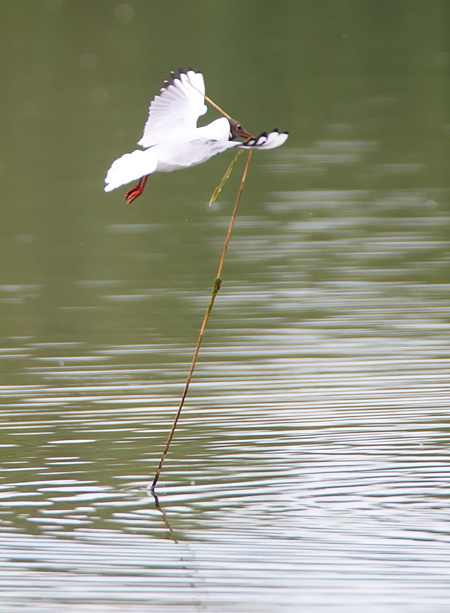 There was some obvious nest building/repairing going on – this Coot [ Fulica atra ] and this Black-headed Gull [ Chroicocephalus ridibundus ] were clearly busy – that was a long stick! Well, as I said last month, I needed to get to the coast, for some different birds and hopefully some classic BIF opportunities. 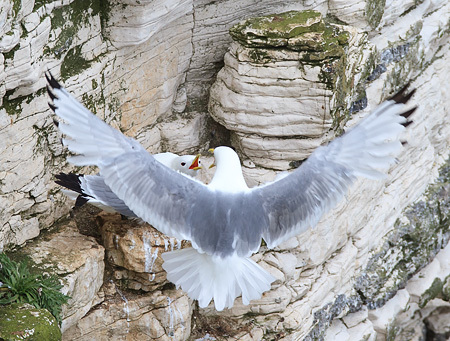 A day-trip to RSPB Bempton Cliffs was in order and Pete (Hilton) Hendry was kind enough to drive this time, for what proved to be a great day out! 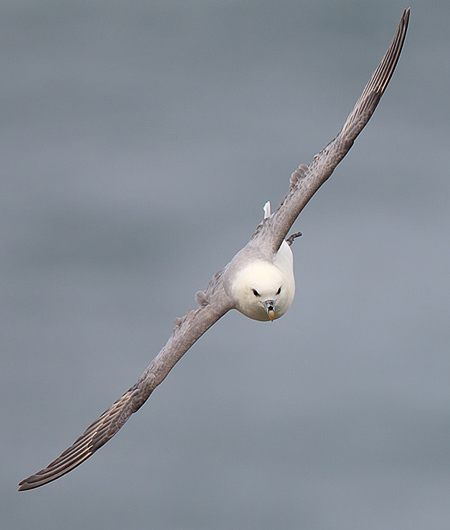 Even though it was overcast, there was a decent, albeit cold, wind, which kept the birds close and high on the cliffs. 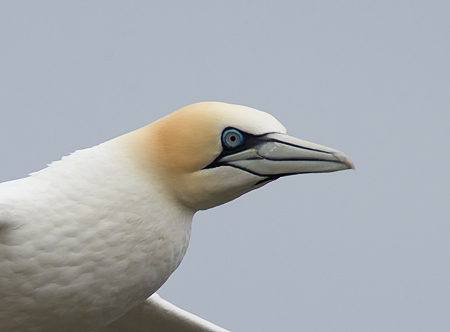 Here is a sample of some from the day – there were loads of Gannet [ Morus bassanus ], of all ages, lots of Kittiwake [ Rissa tridactyla ] and Razorbill [ Alca torda ], a few Guillemot [ Uria aalge ], Fulmar [ Fulmarus glacialis ], a surprising and welcome number of Puffin [ Fratercula arctica ] and plenty of predatory Herring Gull [ Larus argentatus ] and Jackdaw [ Corvus monedula ] – enjoy. On the way back we stopped off to see the European Roller Bird [ Coracias garrulus ] at Aldbrough, near Hornsea – after half an hour it appeared, although distance – a great bird to see though, and a welcome tick. No pics though, sadly. On the 17th June we went to North Wales for a few days. 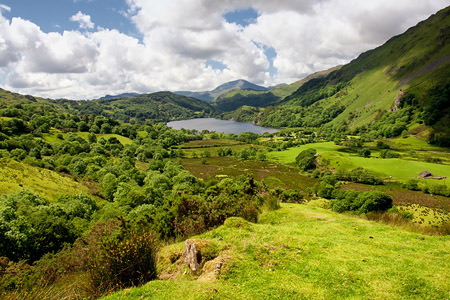 The weather was very good, unusual for N.Wales! 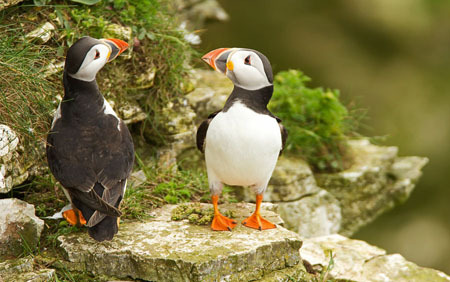 A morning spent at South Stack Cliffs RSPB, saw the usual birds, but also approx. 13 Chough [ Pyrrhocorax pyrrhocorax ]. These birds are superb, but I can’t for the life of me understand why I came away without and pictures, despite walking all the way down the steps to the island bridge. Maybe it was the walking with all my camera and tripod gear on that knackered me and made me forget to get my camera out! 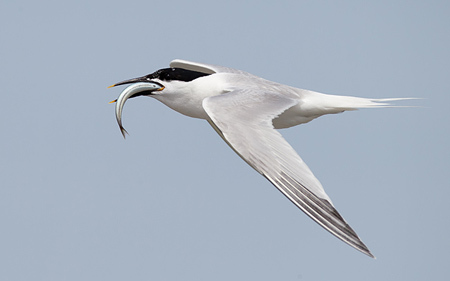 Afternoon spent at Cemlyn Bay, Anglesey, for the Sandwich Tern [ Sterna sandvicensis ] colony. 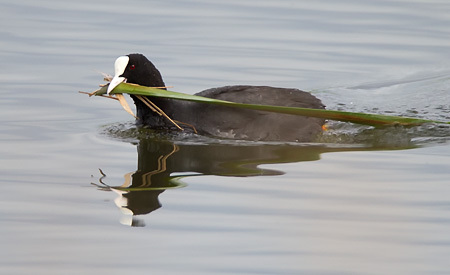 These are great birds and were actively feeding young. 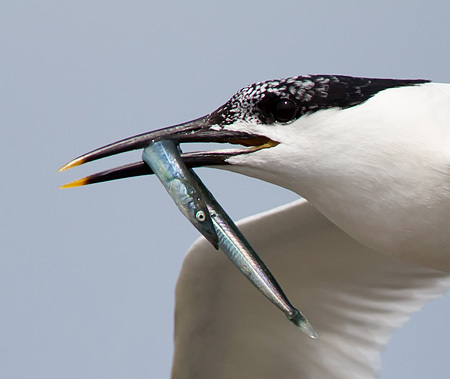 The Arctic Tern [ Sterna paradisaea ] and Common Tern [ Sterna hirundo ] were not doing a great deal. 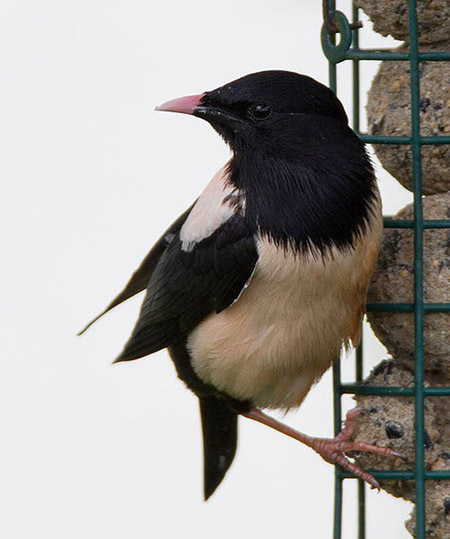 On the way home we stopped at Rhos-on-Sea for the Rose-coloured Starling [ Sturnus roseus ] – a bit of twitching. The feeder was a bit naff, but that’s where the bird spent most of its time and if it was OK, then the feeder in shot is my problem. 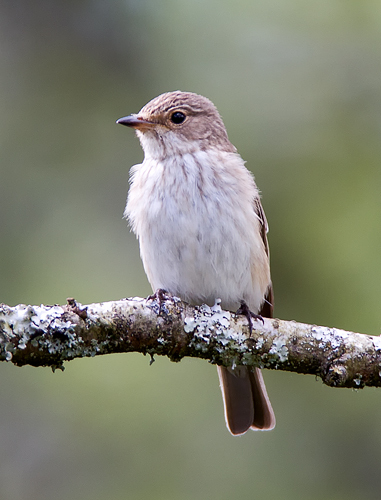 A trip down to Porthmadog and the disappointing Glaslyn RSPB Osprey [ Pandion haliaetus ] – they were at least 1 mile away through a telescope – naff , proved that find some dead trees and you will nearly always find Spotted Flycatcher [ Muscicapa striata ]. 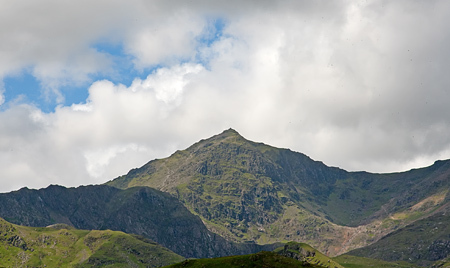 The journey back was glorious, over behind Snowdon past Beddgelert and towards Capel Curing. A rare landscape from me these days. That was it, pretty much – a short trip to Willington on the 30th, revealing more rain and few images – the wettest June on record – good riddance!! See you in July, when we all hope for better weather.